The FlowSonic® HF ultrasonic sensor from SentronicsTM represents a breakthrough in fluid flow measurement technology for automotive engines of every type. 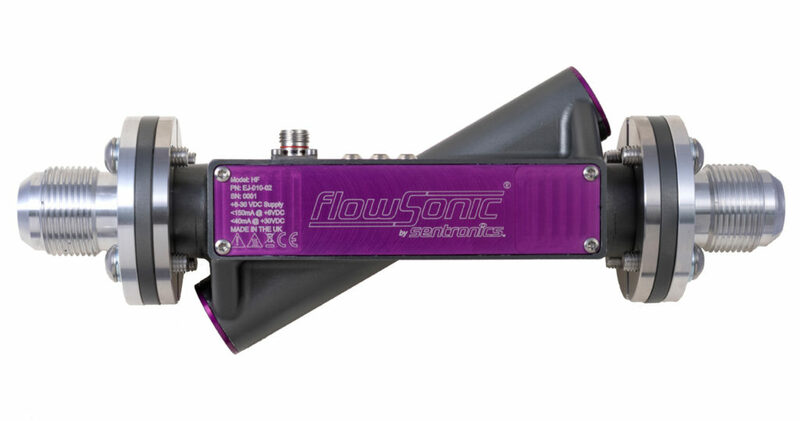 The FlowSonic HF has been designed for the high-volume fuel, oil, and coolant flow conditions found in heavy-duty commercial and industrial vehicle powerplants. Its precision makes the HF an ideal tool for efficiency-focused R&D as well as emissions testing. ©2019 Sentronics Limited. All rights reserved.